Many South and Central American countries are popular destinations for European tourists. And not just in summer. Especially in the colder seasons, most people are attracted to the South – because the sun always seems to shine there. One of the previously less conquered paradises is Belize. Belize – what? This name is hardly known to many people, but the small, Central American country packs a punch. Particularly, the colorful underwater world is a real eye-catcher for every diving fan and nature lover. The Belize Barrier Reef is 300 meters long, the second largest reef in the world – after the Great Barrier Reef – and it is really well preserved. It is the home of several hundred coral species. Only ten percent of them are already known and explored. Perhaps you can discover one or another unknown coral specie while diving. An exclusive experience is also the swimming and snorkeling with the whale sharks. The 10-ton giants come to the Belize Barrier Reef every year from March to June for having a substantial meal. Of course, they eat only the best of the best, namely the freshly laid eggs of the reef fishes. From the mainland you can also take an excursion to the Turneffe Atoll. Or you stay overnight in one of the three ressorts on the island. It is the best to explore the atoll by boat or diving. Several times a day there are offered excursions to the individual islands of the atoll – better known as Cays – and to the two lagoons. Snorkelers, divers and sports fishermen shouldn’t refuse that tender, just like (amateur) photographers. Because the atoll offers a wonderful panorama of nature shots. 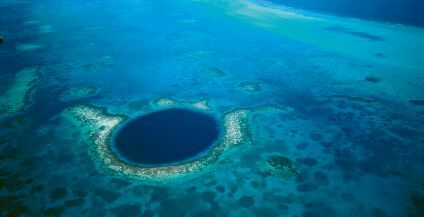 Deep blue water, rare species such as the great hammerhead and natural wonders such as the Blue Hole Natural Monument – what else does the (photographic) eye need? Who still doesn’t have enough should travel from the coast to the inland. The jungle is already welcoming you! In Belize, there still exists a large part of the rainforest – in contrast to other Central American countries where nature is exploited by human. 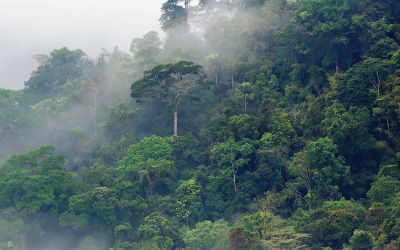 The rainforest is the home of numerous animal and plant species. Approximately 200 species of orchids grow here, toucans and parrots hide themselves in the dense forest canopy and gigantic Cebu trees span to the blue sky. In the nature reserve called “Reserve Cockscomb Basin Wildlife Sanctuary” you even encounter free-running jaguars. You can also watch river crocodiles and snakes – but be careful! There are poisonous species, too! Therefore, a walk through the rainforest is only recommended with a special guide. Staying in the middle of the jungle, this is a dream of many and can become true in Belize. 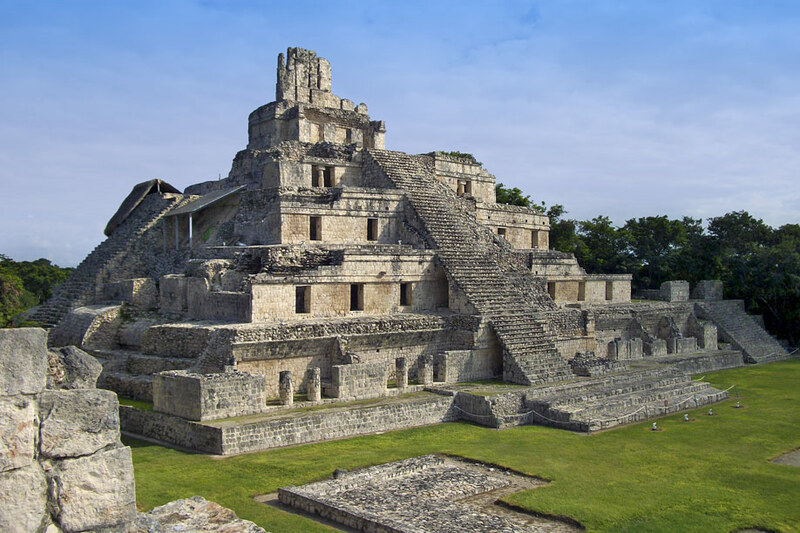 The “Ballum Na” – which means “house of the jaguar” among the Mayas – is an exclusive lodge in the north of the country, or more specifically in the state of Toledo. The lodge is surrounded by a fenced jungle area, in which two jaguars named Bosch and Xupi live. While having a five-course meal you can watch both from the observation deck and see them eating, playing, hunting or sleeping. An unimaginably beautiful picture to observe wild animals in their natural habitat. From the lodge you can also go on an excursion into the rainforest and to the ruins of the Mayan temple, e.g. to Nim Li Punit. What many don’t know: Belize is part of the southern Maya Mountains. As the name suggests, here the high civilization of the Mayas was settled; and until today many evidences are leftover. Best known is probably the temple in Caracol, a 43-meter-high stone pyramid, which is largely preserved. In Belize, you can also meet true dead undeads in the “Actun-Tunichil-Muknal- cave (the Mayans titled it the “entrance to the underworld”). Starting from Belmopan and San Ignacio, you can have a guided tour to the cave in which14 Mayan skeletons were found. An unique treasure and worth a visit! How often can you blatantly enter the underworld and also it leave again?